Class LC have been painting self portraits and pictures of what makes them happy. See the video for everybody's picture. Class KT have painted some lovely self portraits. You can see them all on the video. Class JC have been having a great time with paint. They have been mixing colours when painting figures. They were really pleased with the results. The second round of matches was played under grey skies but with huge enthusiasm. Mills had a comfortable win over Howard to give them 2 wins so far. The other match proved to be an exciting and closely fought game. The final score was Bulstrode 3 Hitcham 3. A fair scoreline from a good quality match. This means that the final set of games this Friday (between Mills & Bulstrode plus Howard & Hitcham) will decide the final standings. Thank you to Mr Harold for taking the action shots from these two games. The canopy nearest the back entrance has been removed (to be replaced at a later date) and the path will be ‘made good’ this week. As soon as we can use it safely I will be outside directing you through it. Please can we stress to parents that they MUST NOT PACK ANY NUTS OR NUT PRODUCTS in their child’s lunchbox or snack box. We have 2 children at school who have serious nut allergies and if they come into contact with nuts or nut products they will have a life-threatening reaction. Our services will take place on Thursday 30 September in St Michael’s church. All parents are welcome to attend. The KS1 and Foundation service will be 9.30–10.15am and the KS2 service at 10.30–11.30am. Each child may bring in 1 or 2 small items to present for our Harvest charity collection. Now we have all settled back into school, please can we remind parents not to return back into school at 8.45am when the bell goes at the start of the day. A number of children are wearing items to school that are not part of our uniform. We would like to remind parents that we do not allow the following: Head-scarves, bracelets or charity/festival wrist bands. Girls must also remove nail varnish before attending school. The only earrings that can be worn are stud earrings (no hoops or dangly ones please). Thank you for your co-operation in this matter. Thank you to the Singing Cluib who helped start Open Church Week at St Michael’s. There are lots of activities in the church and everyone is welcome, it is open 24/7 this week. The Friends are very sad to report that the Cookbook fundraiser has had a poor response with less than 30 contributions, which means that they will not be going ahead with producing these. Thank you very much to those families who did take the time to contribute, the Friends will be holding these recipes on the system and may decide to re-launch this for Easter in the hope of more contributions. A really fun evening of Bingo & Beetle Drive was held on Friday night, with the AGM in the interval. Do look at the photos on the school BLOG. Thank you to all those parents who attended; new committee members appointed were: Louise Bounit, Michelle Kingsmead, Linda Mears and Judy Hardy. A vote of thanks was given to retiring members Claire Baughan, Amanda Cornwell and Caroline Miller. Parents are permitted to sign their Year 6 child out of school during the day of 20 October to take them to look around the High School. Please ensure that you sign them back in when they return. The Friends were extremely pleased with the huge turn-out at the Beetle Drive and Bingo Night on Friday, which included the AGM in the interval. There was some manic dice throwing for the Beetle Drive and an awful lot of dabber pens flowing for the Bingo. Lots of prizes were won, and it seemed that everyone had a great time. Thanks must go to Mr Mulrenan who did a great job as host for the Beetle Drive and Bingo caller, and also to Mr Gray for the loan of the hi-tech Bingo machine. The AGM is the opportunity for parents to hear about the money raised through events in the last year and how it has been spent for the benefit of the children at school. There were 4 new committee members voted onto the committee and a thank you given to 3 retiring members. Future Friends events this year include Organised Mum Diary & Calendars for sale, a Cake Stall on Friday 22 October, a Bag2School charity bag clothes collection on 2 November and a Christmas Shopping Evening on Friday 19 November. Our School eco council held its first meeting of the term. They decided to have their meeting outdoors - in the Gilder garden. 2 children from every class in the school met with Mrs Mawson and Mrs Hopkins to talk about eco ideas for the coming term. They discussed recycling, the Framlingham alottments extension and saving electricity around school. This year is the 40th anniversary of the Suffolk Coast and Heaths being officially recognised and designated as an Area of Outstanding Natural Beauty (AONB). The anniversary will be marked with two jam-packed weeks of activity throughout the District, starting with the launch on Westleton Green, near Saxmundham on Saturday 16 October. Click on the logo to go to the event website. The first round of inter house matches (last Friday after school) were played in glorious weather infront of a large crowd of parents. The Mills v Hitcham game was close and exciting. Both sides had plenty of chances. The Mills goalkeeper (Edward G) was in great form. Mills went 2-0 up with Edward making a string of good saves to keep out the Hitcham strikers. In the 2nd half Hitcham did manage 2 goals but Mills scored a 3rd to sneak a narrow win. In the other match Howard struggled to contain a very strong Bulsrode team. The score was a rather one sided 9-1 to Bulstrode. The matches this Friday are Bulstrode v Hitcham and Mills v Howard. Thanks to Mr Wray for taking these excellent action photos. 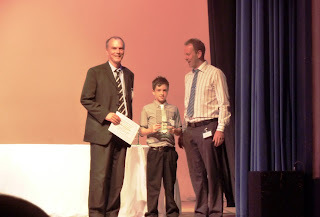 SRH was nominated for 2 awards: Sports School of the year and Team of the Year (for our cricket team). Mr Brook, Mrs Spencer, Mr Cantrell (who helped run the cricket team) and Josh Cantrell (captain of the cricket team) went along to the ceremony attended by several hundred people. We were surprised and delighted to win both awards against some strong nominees from a variety of schools and sports. See our school BLOG for photos. A photographer / reporter from the Evening Star took our pictures. They should be in the paper this week. We brought home 2 lovely glass trophies and certificates. SRH now go forward to the Suffolk County award ceremony on October 17th. Clio Auberge-Williams (older sister of Felix and Oscar) also won an award: Young Sports person of the year. She is one of the most outstanding junior rowers in the country. She was in the GB squad at the recent European Championships and is hoping to qualify in the coming year for the World Champs which are being held in England on the 2012 Olympic course. We are sorry for the continued disruption caused by the delays to the canopy. For class EM assembly on Friday, please can we ask parents to use the entrance at the front of the school by the office, thank you. Mr Brook, Mrs Spencer, Mr Cantrell (who helped run the cricket team) and Josh Cantrell (captain of the cricket team) went along to the ceremony and were surprised and delighted to win both awards against some strong competition from a variety of schools and sports. 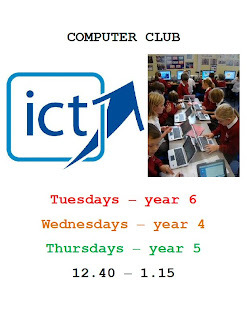 Please see our school BLOG for photos. We will now go forward to the Suffolk County award ceremony on 17 October. Just a reminder that tickets can still be ordered for this fun family event, or they can be purchased on the door on the night. Please do come along, only £2 per person. Licensed bar, Tuck Shop and prizes. Our services will take place on Thursday 30 September in St Michael’s church. The services will include our usual harvest singing and prayers. These are Thanksgiving services in which classes have chosen items such as poems or songs to be presented by some of the children. The KS1 and Foundation service will be 9.30–10.15am and the KS2 service at 10.30–11.30am. Each child may bring in 1 or 2 small items to present for our Harvest collection. SCC Catering are planning a special Harvest lunch for this day. The menu is Roast Beef with Yorkshire pudding or Cheese and Coleslaw plait, plus roast potatoes and seasonal vegetables, followed by steamed sponge pudding and custard. The Friends are in the process of contacting local retailers and private sellers to take up tables to sell their products at this exciting new event. The type of goods they are looking for include: gifts, jewellery, bags, books, cards, gift-wrap, decorations, Christmas food, toys, Christmas cakes etc. if you think you have products that are appropriate for this event and would like to have a table (or 2!) please contact Catherine Hill on 01728 723986 or 07977 206587. Thank you. As part of their topic on Europe Class DB have been learning to use the techniques of a famous French artist: Monet. The children have been using oil pastels and paint to create their own still life pictures. To find out more about Monet - click on this LINK. The video below shows all of the children's work so far. During the year look out for art galleries like this from every class in the school. Our school orchestra rehearses on Wednesday lunchtimes with Mrs Fell. Their first public performance of the year came in Wednesday afternoon assembly. They played 'When the saints go marching in'. 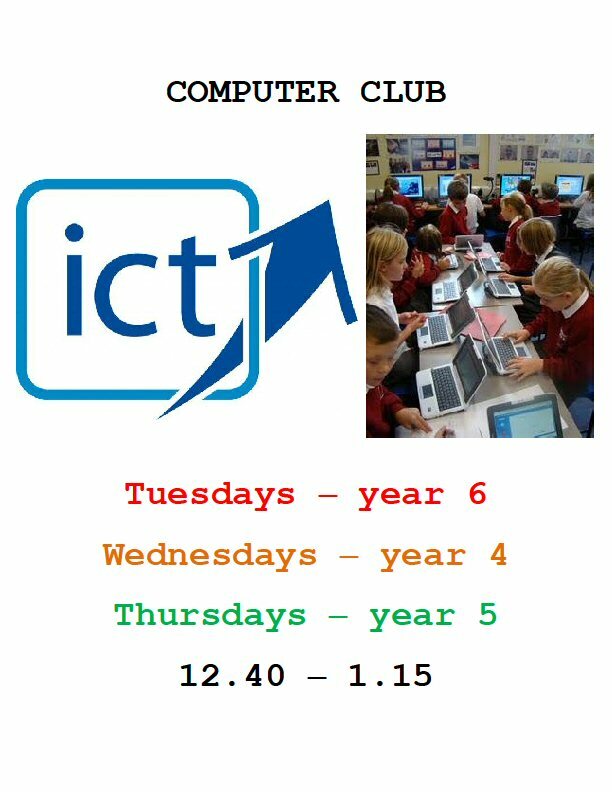 Computer clubs started this week. The club timetable taken home last week had a slight error I'm afraid in that it had years 6 and 5 the wrong way round. The poster confirms the proper arrangements. Sorry for any confusion. enthusiastically attended by over a dozen children. Yesterday afternoon Class GH were doing part of their science lesson on the school field when some of the children spotted a hedgehog. It is unusual to see them in broad daylight. This one seemed to be quite young and rather lost. This Sunday Mr Brook, Mrs Spencer and Josh Cantrell (plus Mr Cantrell) are going to the Suffolk Coastal Sports Awards. We are up for 2 awards: Primary School of the Year and Team of the Year (School Cricket Team). The awards ceremony takes place at the Spa Pavilion in Felixstowe. Keep an eye on the blog to see how we get on. Our after school tennis club had its first session of the year on Tuesday. The club which is coached by Anton from Framlingham tennis club has 24 children taking part and a short waiting list. Football club had its second session with about 40 children taking part. Most of them will be playing in the first round of house matches this Friday after school.